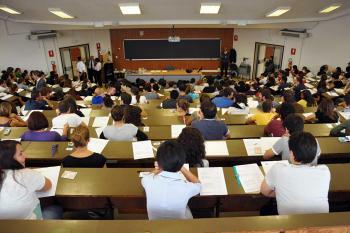 UNICAM is putting into practice the university reform established by the Bologna Process. UNICAM offers a varied choice of degrees, as well as opportunities to continue studies with Courses of Specializations and Doctoral degrees. This is the Italian first level degree under the Bologna Declaration. It is obtained with 180 credits and usually requires three years to complete. It gives a basic theoretical understanding of the subject matter and is designed for smooth entrance into the job market. With the introduction of the three year bachelor degrees, the traditional four and five year degrees and university diplomas are disappearing. Exceptions are degrees in Medicine, Veterinary Medicine, Pharmacy, Chemistry and Pharmaceutical Technologies and, recently, Law: these are one tier degrees regulated by the European Union. This is the Italian Master-level degree under the Bologna Declaration. It is obtained with 120 credits and usually requires two years to complete. This specialization degree prepares the student for specific professions in which a higher level of training is required. These programmes, developed and organised jointly by the institutions, leads to two recognised Masters degree certificates, one from the student’s home institution and the other from the host institution. Within this programme students must follow teaching activities for one year in the partner Institution. The Doctor of Philosophy degree represents the highest level of tertiary education. It lasts three to four years and is open only to those who have completed the master degree. Admission is by exam and is reserved for a limited number of students who upon successful completion of their program receive the title of PhD. The PhD courses in UNICAM School of Advanced studies involve 3 years of study and research, with a final thesis that can be written in either English or Italian. Teaching activities primarily involve Seminars and topical Short Courses. are post-bachelor or post-specialization degree course (Master di I e di II livello) providing professional knowledge and know-how. It is also open to practicing professionals in need of further qualifications. It is obtained with a minimum of 60 credits.